Severe weather can occur throughout each season in the Stevens Point region. Tornados have been documented in Wisconsin in every month except February. Other potential severe storms include thunderstorms, high wind, ice, hail, snow, blizzard, and rain. Be Prepared! Know How to Respond. Hazardous weather may arise suddenly. Faculty and students must be vigilant to personally monitor changing weather conditions whether on the main UW-Stevens Point campus or participating in activities off campus. Pointer Alerts - UW-Stevens Point's emergency notification system. Receive notification of tornado warnings to your UWSP email and as a text message. Portage County Community Alert - Portage County's emergency notification system. Severe Thunderstorm Watch - Atmospheric conditions are favorable for the development of severe thunderstorms (i.e. - producing hail at least 1 inch in diameter and/or 50 knot (58 mph) or greater wind speeds). Tornado Watch - Atmospheric conditions ar favorable for the development of severe thunderstorms capable of producing tornadoes. Severe Thunderstorm Warning -A severe thunderstorm has developed, capable of producing hail greater than 1 inch in diameter and/or 50 knots (58 mph) wind speeds. Tornado Warning -A severe thunderstorm has developed and has either produced a tornado or radar has indicated intense low level rotation in the presence of atmospheric conditions conducive to tornado development. County sirens will sound in the event of a tornado warning. The National Weather Service and Emergency Alert System via the broadcast media, weather radios, and email alerts (if equipped). If conditions are present for possible severe weather formation, you must monitor and keep aware of severe weather possibilities. Always be prepared to take action. University Police will announce via voice public address systems in buildings equipped with voice-capable warning systems and by person in certain areas when possible. Recipients of warnings must quickly disseminate weather information throughout their areas. This can be in the form of a phone tree or by walking through the area and verbally spreading the word. Monitor the local media, weather radios, and weather Internet sites for weather updates and be alert to changing weather conditions. 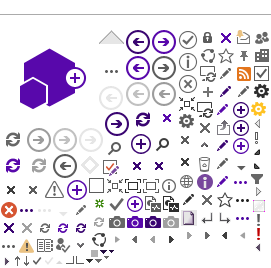 See Weather Forecast/Alert Sources above. Be prepared to take action if the weather situation is upgraded to a tornado warning. If Portage County sirens sound or tornado warning is issued, building occupants should take shelter in the lowest level interior room without window exposure - preferably in a basement. See building floor plans online at here for shelter locations at UWSP. Take a flashlight, battery-operated weather or other radio, and cell phone to the shelter area. Shield yourself as well as possible by seeking shelter under sturdy objects, duck and cover your head with your arms, or by other available means. NOTE: If you are unable to get to the lowest area, go to an interior room or stairwell away from windows and exterior doors. Avoid wide-span structures such as gyms, pools, or large classrooms. If for some reason you are unable to flee to a safer area, get under a desk, heavy table, or other object that could shield you from flying debris. Remain in your shelter area until instructed to do otherwise by National Weather Service broadcasts, department management, or University Police. If driving, park your car and seek shelter away from the car in a nearby ditch or ravine. Avoid areas with power lines, poles or signs. Never try to outrun a funnel cloud or tornado in a vehicle. After a tornado, watch for secondary hazards such as electrical wires and other dangerous wreckage. If surrounded by debris, be aware that moving it may cause other debris or part of the building to collapse. If it is not safe or possible to leave the area, stay there until assisted out. Severe thunderstorm warning notifications will be made by NOAA weather radios and local broadcast media. Notify affected individuals and discontinue exterior work that may place persons in danger of the immediate storm. Seek interior shelter away from windows and exterior doors and close blinds and drapes. If conditions worsen, individuals may be advised to relocate to the designated storm shelters as discussed above in the Tornado Warning section. Notification of a severe ice/sleet/snow storm will be made by the same sources mentioned above. Refer to the UW-Stevens Point Inclement Weather Policy. When snow/ice removal is significant or overly complicated, Facility Services will declare a “Weather Focus” and issue a campus Message of the Day (MOD) announcement. Staff will temporarily shift from less critical tasks (e.g., cleaning, trash and recycling pickup) to weather-related tasks (operating plow vehicles, sweepers, salters, snow blowing, shoveling and corridor clean-up) until after the “Weather Focus” concludes. For additional information, read the Facility Services Response to Winter Weather Events document. Exercise caution on outdoor walkways and while driving. Wear high traction footwear and fully wipe your boots on floor mats. Report unsafe conditions to Facility Services (during business hours) 715-346-4219 and University Police (after hours) 715-346-3456. Whether driving or walking, Ice and Snow, Take it Slow! For more information on Slips, Trips and Falls, see the EHS webpage. When inclement weather exists, every effort will be made to keep UW-Stevens Point campuses open and operating as normal. Students: Classes will meet as usual unless the chancellor determines class cancellation is necessary. In the absence of such a notice, classes are presumed to meet as scheduled. Students are encouraged to check with faculty about specifics. Employees: For more details regarding reporting to work/leave expectations, see the UW-Stevens Point Inclement Weather Policy. Direct any questions to Human Resources at 715-346-2606. In the unlikely event one or more UW-Stevens Point campus will close or classes will be canceled, the University will notify employees, students and the public through a variety of communication methods. See the Winter Weather FAQs section below for additional information. During inclement weather, we often are asked why UW-Stevens Point doesn’t close. Here are FAQs you may find helpful. Q: What does the university do to maintain the safety of students, faculty and staff? A: The weather is carefully monitored by our emergency management specialist, University Police and Facility Services staff and others. In the event of inclement weather, communications are sent to students and employees encouraging them to use good judgment in deciding whether they feel they can safely travel to campus. Students and employees are also encouraged to contact their professors or supervisors if they have safety concerns regarding travel. Q: The Stevens Point (Wausau, Marshfield, Amherst, etc.) schools are closed. 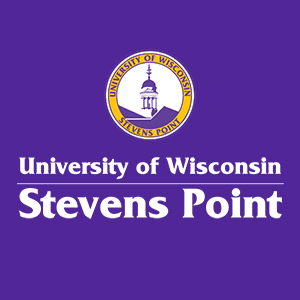 Why isn’t UW-Stevens Point? A: Local public (and private) K-12 school officials take into consideration bus transportation for young children, many of whom are only 6 or 7 years old waiting outdoors for buses. Often, buses must travel before all county and town roads are plowed. Also, because many school district buses are parked outside, they may have difficulty starting in sub-zero weather. UW-Stevens Point generally remains open. Many of our students live on or near campus and can safely reach their classes. Those who travel are encouraged to use good judgment in determining whether they feel they can do so safely. Q: Classes were canceled at UW-Stevens Point at Wausau and Marshfield. Why weren’t they canceled at the main campus? A: Many students at our two-year campuses drive to the Wausau or Marshfield branch campuses, often from further distances over two-lane country roads. In Stevens Point, most students live on or near campus and can walk or drive shorter distances. Also, about 16 percent of students enrolled at our Wausau campus and 43 percent of students at our Marshfield campus are high school students and will not be in class if the K-12 schools in those communities are closed. Q: If UW-Stevens Point doesn’t cancel classes, may faculty do so? A: Faculty have discretion over their classes, and some offer alternatives that do not require in-person attendance. Some have canceled classes, depending on their own or their students’ travel circumstances. Students are encouraged to contact their instructors if they do not feel they make it to campus safely. Faculty members are encouraged to understand and accommodate weather-related absences. Q: Why do employees still have to work when classes are canceled? A: Campus offices generally remain open even when classes are canceled. Employees who do not feel they can safely make it to work, should check with their supervisors regarding attendance options. Working from home, taking paid or unpaid leave or making up lost time or other arrangements with the approval of your supervisor, are among the options. See the inclement weather policy. Because of the nature of their work, it is not possible for some employees to work from home or to make up lost time. If the university closes, these employees would be required to take vacation time or leave without pay. By remaining open, employees have a choice about reporting to work. Some employees essential to the university’s operation – including but not limited to Police, Residential Living, Dining Services and various positions within Facility Services – are present, working to ensure the continuity of operations on campus necessary for the safety and welfare of our students. Q: The mayor has declared a snow emergency. Why wouldn’t campus close? A: This is less about a community emergency and more about snow removal. When a snow emergency is declared, parking is not permitted on city streets during the hours stated in the proclamation to allow the Street Department to clear streets of snow. Mayors and other municipal officials use this tool to facilitate snow removal. Q: Where can I find the university’s inclement weather policy? A: The policy may be found here: inclement weather policy. Q: What are the best ways to find out if classes are canceled or the university is closed? A: Watch your email and the UW-Stevens Point website for weather-related campus updates. Lifesaving tornado safety tools and information in the palm of your hand. Available for download from the iTunes or Google Play app stores.